Distribution: Central Arizona, New Mexico, N Texas. 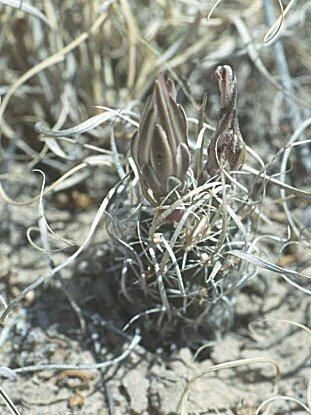 Colorado Desert. Toumeya papyracantha (Engelmann) Britton & Rose Cactaceae, 3:91, 1922. 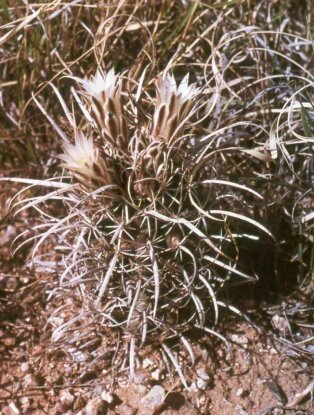 Basionym: Mammillaria papyracantha Engelmann, Mem. Amer. Acad. II, 4:49, 1849. 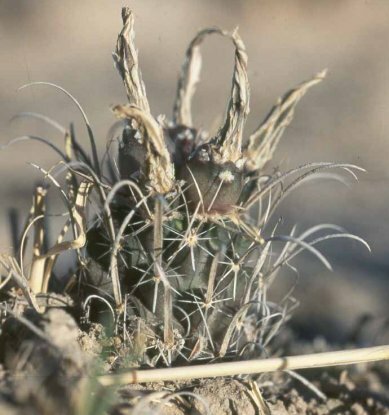 Echinocactus papyracanthus Engelmann, Trans. Acad. Sci. St. Louis, 2:198, 1863. Toumeya papyracantha (Britton & Rose) Marshall, Saguaroland Bulletin XII, 114, 1956, later homonym. 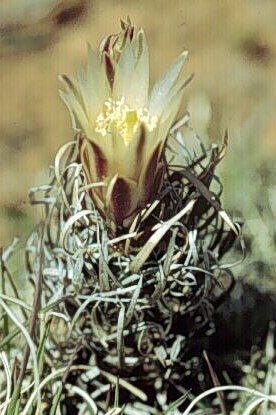 Pediocactus papyracanthus (Engelmann) L. Benson Cact. & Succt. J. (US) 34:61, 1962. Sclerocactus papyracanthus (Engelmann) Taylor, Bradleya, New and unfamiliar names of Cactaceae to be used in the European Garden Flora, 5:91 f.1987. Type: "In a valley between the lower hills near Santa Fe in loose sandy red soil. Fendler, May 15.1847" MO. fh 087.2, Washboard Wash, 1,600 m.
All pictures and contents of the Exotic Forum (fhnavajo.community.host.de or Homepage) are protected by copyright. All publications and duplications, in full or in part, photo-mechanical or electronic duplication, and translation require�my express written permission. Also the selling of this Homepage or an individual part requires my written permission. Criminal offences will be pursued.